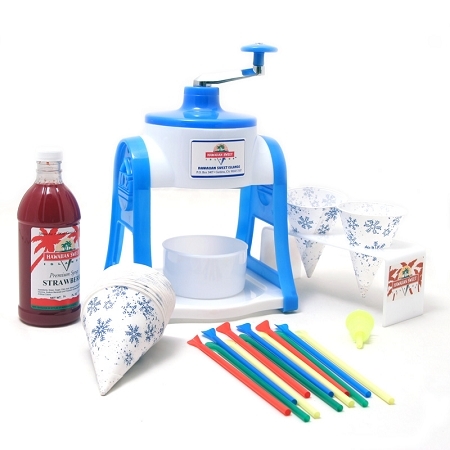 Our Premier Gift Package includes our Deluxe Ice Shaver (available in blue or red) with (3) Ice Molds, (1) pint of our refreshing and delicious Premium Syryp (your choice of Bubble Gum or Strawberry), 1 Doz. cone cups and spoonstraws, pour spout and cup holder. All you need is a supply of ice.